a) Aluminum alloy chassis are curved by our numerically-controlled machines. They are not only elegant but also play an important role in shielding and mechanical decoupling. b) Four in the HIFI world for their audio properties highly acclaimed Denmark Jensen capacitors are used in this amplifier. c) The volume potentiometer is a high class step by step balanced audio attenuator and evidences no audible and measurable mechanical noise. d) Carefully selected Swiss NEUTRIK high class gold coated ear jacks in tandem with fine copper selector switches reduces fatigue noise in the distant future. e) Triangle knobs specially made by Meixing ensures visibility of the selector position even from a distance. f) High quality input and output terminals guarantee a long working life and low replacement and maintenance costs. 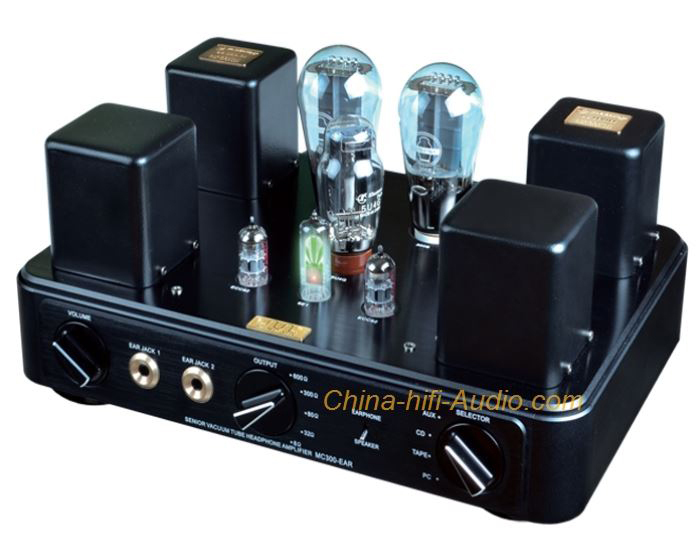 g) The Class A integrated amplifier can drive speakers of 88dB sensitivity to a maximum of 100W.